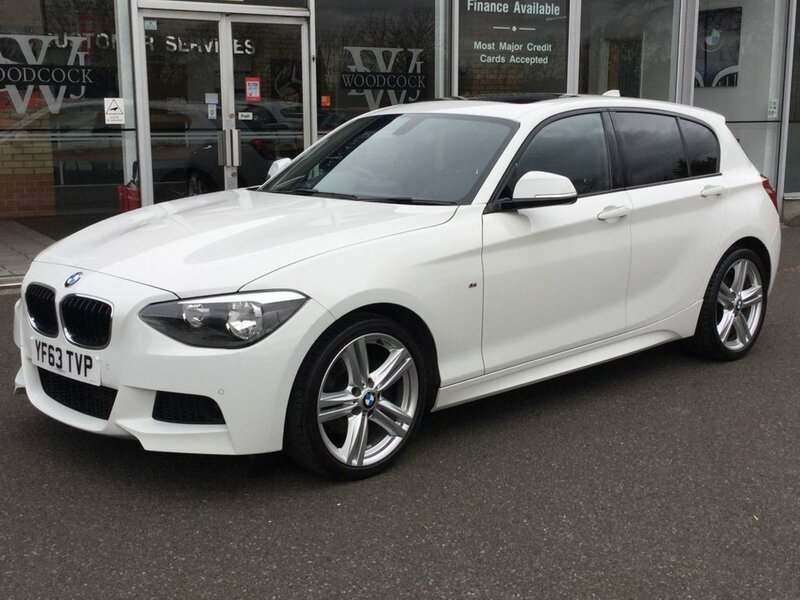 IMMACULATE BMW 120D M-SPORT 2.0 5 DOOR DIESEL HATCHBACK FINISHED IN ALPINE WHITE WITH FULL BLACK DAKOTA (HEATED FRONT) LEATHER SPORTS SEATS. 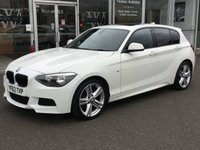 ONLY 2 OWNERS FROM NEW WITH FULL BMW MAIN DEALER SERVICE HISTORY. 2 KEYS. MOT'D UNTIL FEBRUARY 2020. FANTASTIC SPECIFICATION INCLUDING £2855.00 OF EXTRAS = GLASS SUNROOF, FULL DAKOTA LEATHER, COMFORT PACKAGE, HEATED FRONT SEATS, FRONT AND REAR PARKING SENSORS, RAIN SENSING WIPERS. DUAL CLIMATE, 18" ALLOYS, FRONT FOGS, BLUETOOTH, DAYTIME RUNNING LIGHTS. ANY TRIAL OR INSPECTION IS ALWAYS WELCOME TO APPRECIATE THE QUALITY ON OFFER. #### Established in York Over 30 Years #### Reserve this Car with a Small Deposit #### Please Note All Our Vehicles Are Supplied With A Clear HPI Report Free Of Charge.